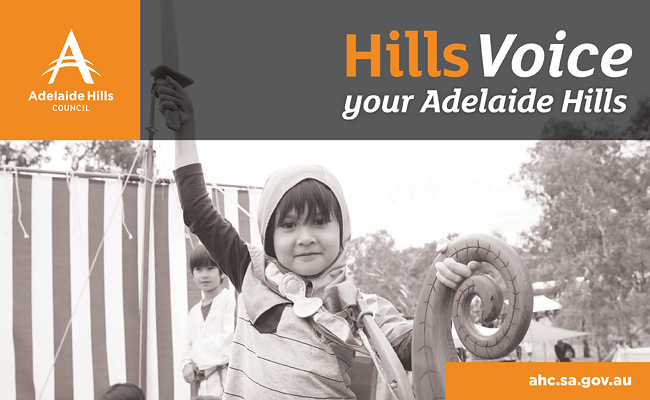 Due to the upcoming Council election period, our annual Community Grants have opened early. Applications will be accepted from Friday 1 June until Saturday 30 June 2018. Click here to visit our Grants page for all the information, including guidelines, application forms, and who to contact for further information. 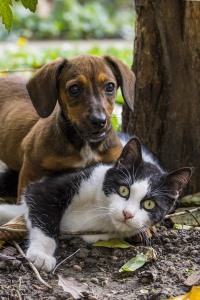 Click here to visit our consultation website Engagement HQ to read further information and give your feedback on one or more of the By-laws, including the much-discussed option of cat confinement and dog number restrictions. There is also a final information drop-in session from 6:00pm – 7:30pm at Coventry Library, Stirling, tonight where you can ask questions with our relevant officers. Our most recent Community Forum was held at the Bradbury Institute Hall on 1 May 2018 and we thank everyone that made time to pop out and have a chat with us. Some of the conversations between community members, Council Members and senior staff in attendance included those around the Annual Business Plan and upcoming council elections, with Cr Wisdom specifically encouraging more women to consider nominating to be a Council Member. Recycling headlines and cat confinement discussions were also hot topics, with staff and Council Members able to dispel myths and provide more detailed information to help attendees understand the facts of these important issues. The Bradbury Institute Hall Committee, who as well as giving an update to their recovery from recent vandalism, put out a call for new members who have skills to offer their committee. The Longwood Bradbury History Group who talked about the publications they have produced, specifically around the Anzac Centenary and locals who made the supreme sacrifice, and their current project in researching the Aboriginal peoples of the Longwood, Bradbury, Ironbank and Stirling area. The Community Planning for Recovery Stirling Ironbank Bradbury Longwood (SIBL) Group spoke passionately about the success of its formation in the wake of emergency response needs such as power and communications. Their Community Recovery Aid Trailer is now mobile and on its way to being fully equipped in the case of any emergency. Locals are encouraged to join their Facebook page to stay informed. Click here to download a full summary of the Longwood/Bradbury Forum. Our next community forum will be the last for 2018. 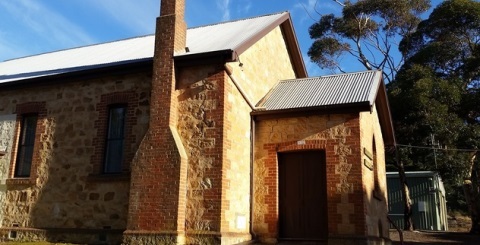 Community members are invited to attend the Montacute Institute on Tuesday 7 August from 6:30pm – 8:30pm to get involved. Community groups wishing to make a presentation at this event should email their expression of interest to mail@ahc.sa.gov.au by Tuesday 31 July for consideration. Last month our team of arboriculturists (that's tree experts to most of us!) 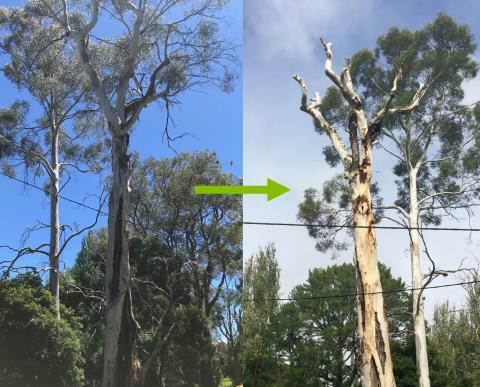 were called out to a large Manna Gum tree in Bridgewater that was showing signs of instability. Instead of removing the whole tree, the team determined that the trunk simply couldn't hold its canopy anymore, but its natural nooks and crannies would still be perfect for habitat nesting. So with a bit of a haircut, this old tree is already hosting families of kookaburras and rosellas without endangering the surrounding area. A great result for the neighbourhood! 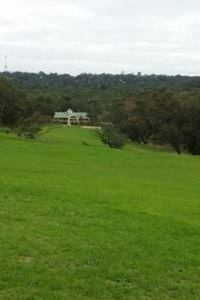 There is currently a unique opportunity for the community to give their suggestions for the former Belair Golf Course and Country Club as it is incorporated as part of the Belair National Park. National Parks SA is keen to hear from the community to understand what you value most about Belair National Park, and what should be considered in deciding future uses for the site. Click here to be taken to their community survey and let them know your thoughts. Microchipping will be compulsory for all dogs once they reach three months of age, and cats once they reach 12 weeks of age. Desexing will be compulsory for all dogs and cats born after 1 July 2018 (exemptions exist for working dogs, registered breeders etc). Dog registrations will also move to a central, state-wide database, which will make moving between suburbs painless, and will speed up the ability for Rangers to reunite dogs with their owners across suburb boundaries.